HERE IS ANOTHER WEEKLY SPECIAL. 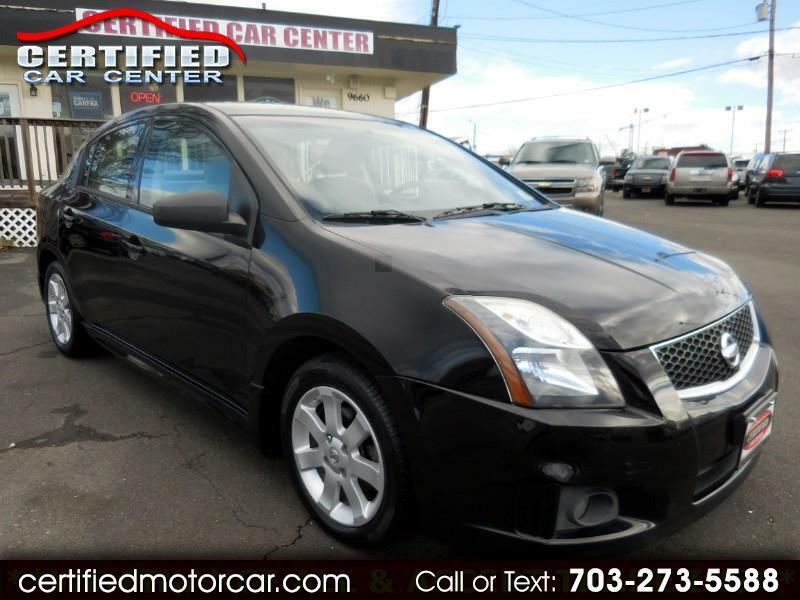 A 2012 NISSAN SENTRA SR WITH 4 NEW TIRES AND ONLY 81K MILES IN GREAT SHAPE INSIDE AND OUT AND WITH LOW MILES LOADED WITH;**4 NEW TIRES**, **LOW MILES**, **ALLOY WHEELS**, **AUX JACK**, **WEEKLY SPECIAL**, **ALL POWER OPTIONS**,VA INSPECTED, CARFAX CERTIFIED, SERVICED AND BACKED BY WARRANTY AT OUR FIRM ASKING PRICE PLUS $395 PROCESSING FEE Internet Prices are based on cash or cashier's check. Our Internet price does not include a $395 Processing fee, Tags, title and FINANCE FEES!